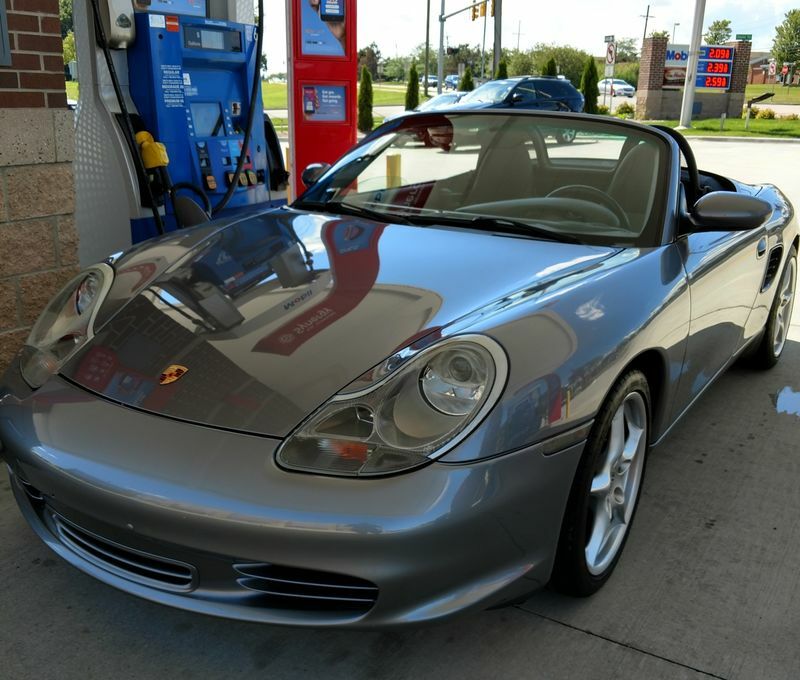 Bought up this 04 Boxster S from right here on the forum. This was an genuinely positive experience and I bought it (mostly sight unseen). The car was in the Palm Springs area and I am in Michigan. I had a friend in SoCal pop over and give it a look and based on his endorsement we made the deal and put it on a truck bound for Michigan. For me this is a perfect step as a fantastically balanced car that I can use when its not frozen-over here, and on both of the racetracks that are less than a half hour away for track days. Going to show some of the things I will be addressing and working on to make it a great(er) car for road and track. Congrats! Great looking car! 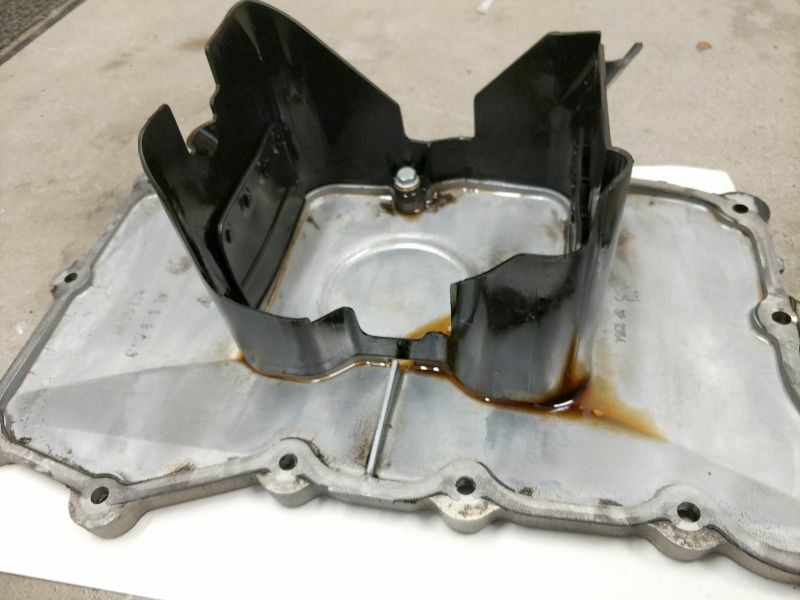 I don't track my car but from what I've read, it'd be worth looking into a deeper sump and different oil pan baffles. 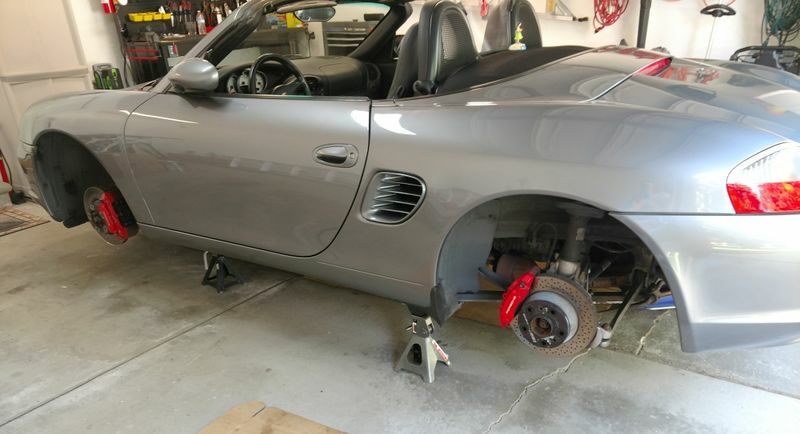 Might want to ask around in the track car sub-forums. I'd hate to see anything bad happen to such a nice car! I have the EBS baffle on the way going in with upcoming oil change. Previous owner was wise enough to put in an LN IMS as well so I have confidence in that. First I am going over the outside of the car with a bit of TLC, then ill get into the guts. 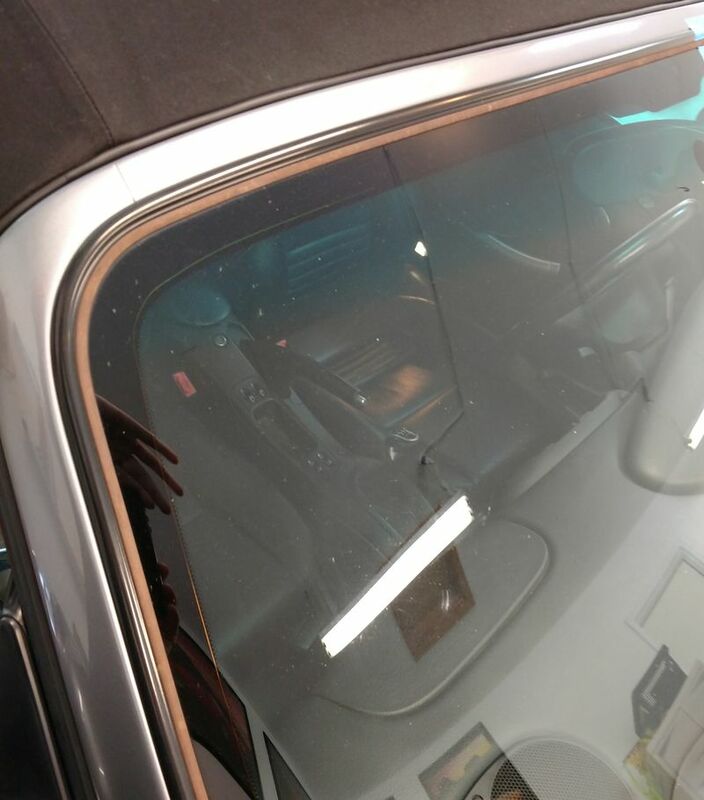 The car came form the Palm desert area, so the paint had some sand contaminates in it. 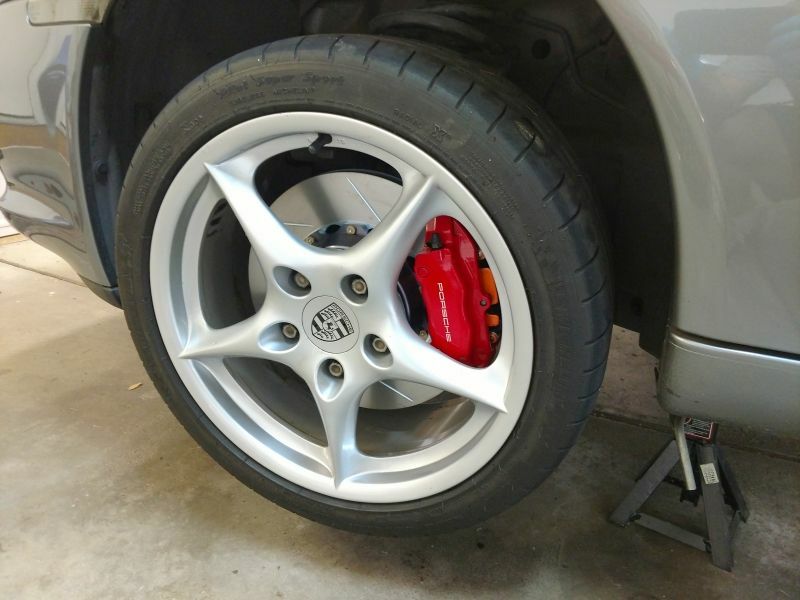 Easy to work out with clay and a polish. 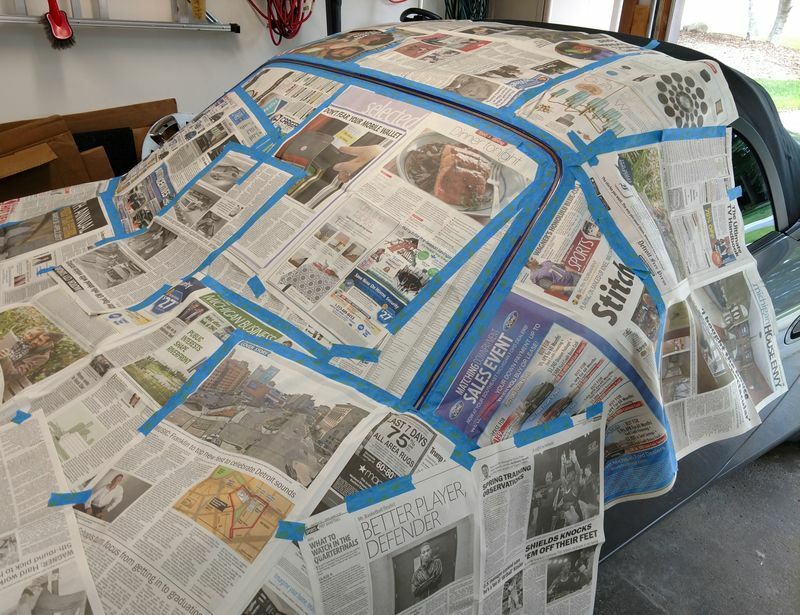 Using clay is very easy, no circular strokes and keep the area really soaped up and wet. Last for this round of aesthetic work was a machine polish. 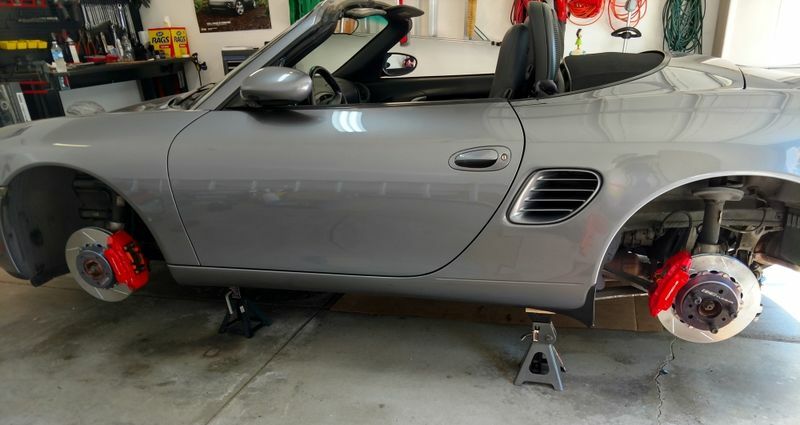 Not much time invested (boxster is a small car) and paint on this one is like glass. Almost looks new. 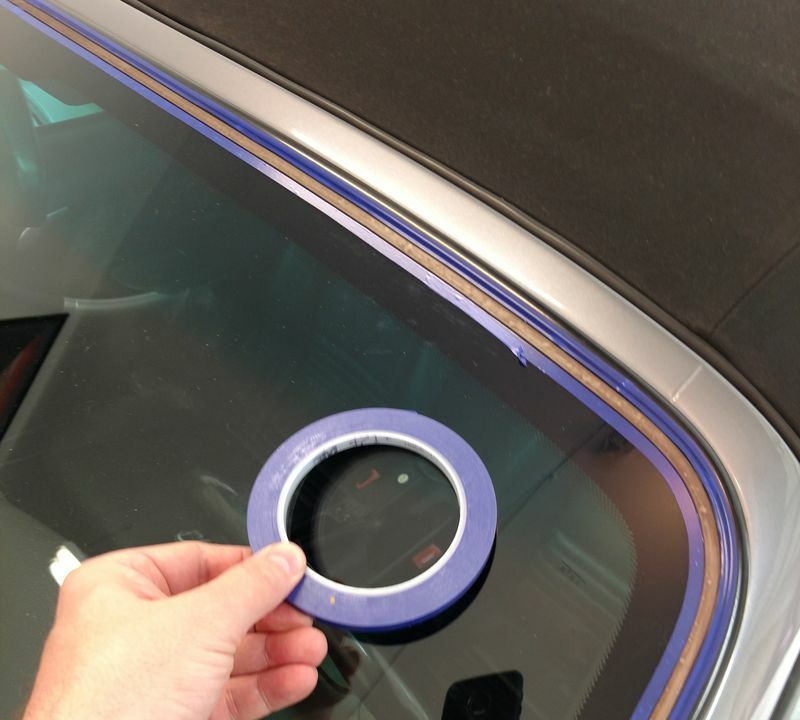 Great job and nice car, it looks brand new! Exterior twin to my car. 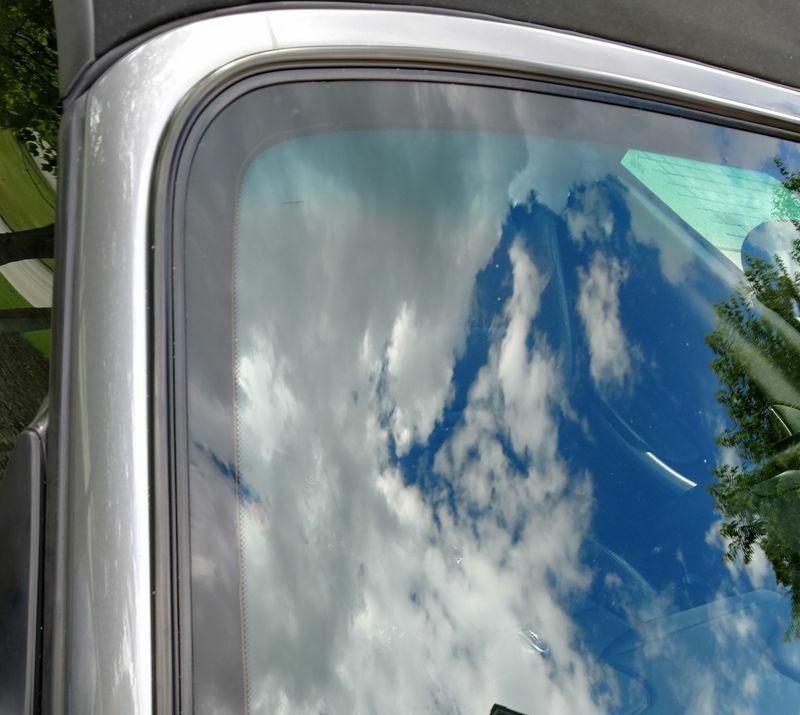 I just got a new OEM windshield and replaced that trim in the process. Finally got around to getting it up in the air. Got the pan off and swapped in the EBS motorsport baffle. Worth the reasonable price for a bit more protection in steady state cornering. It is a tight fit, and i dint like the pressure exerted by the foam pad on the side dams to the front side of the pan as its a thin aluminum casting, so i removed the foam from the top of these dams and cleaned off the adhesive. Managed this with a minimum of swearing and no blood. I am amazed. 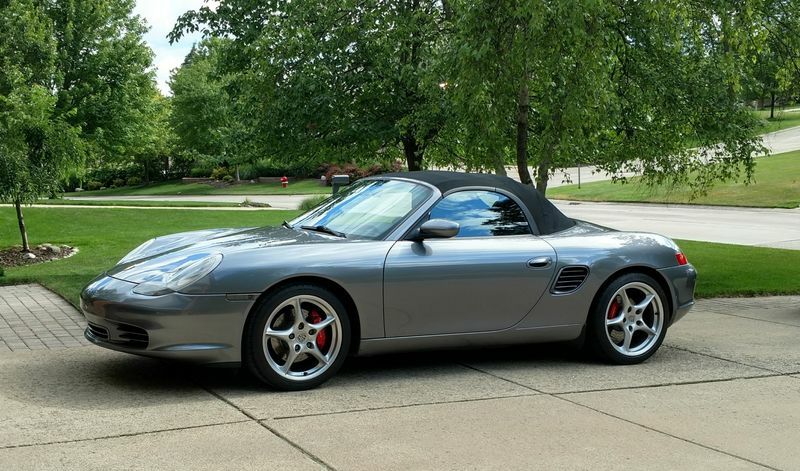 Nice Boxster and write up. 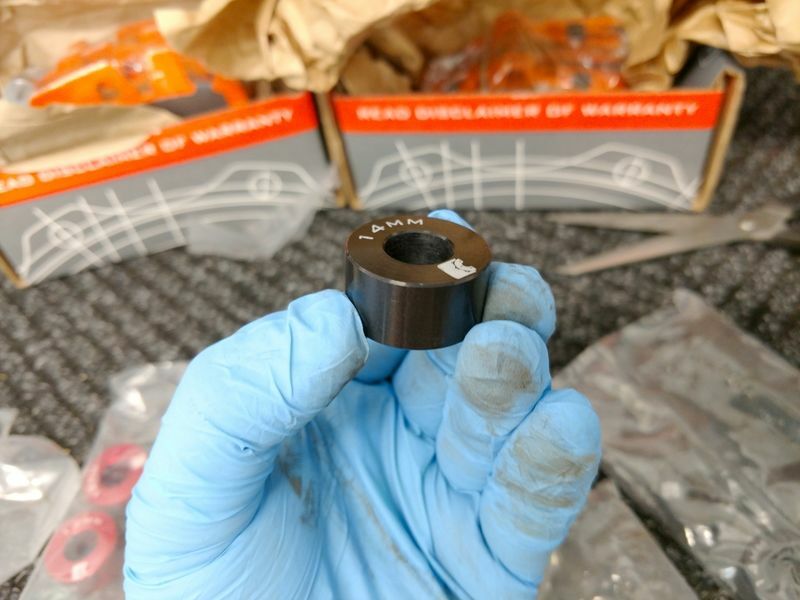 Make sure you don't get any sealant in the sump. 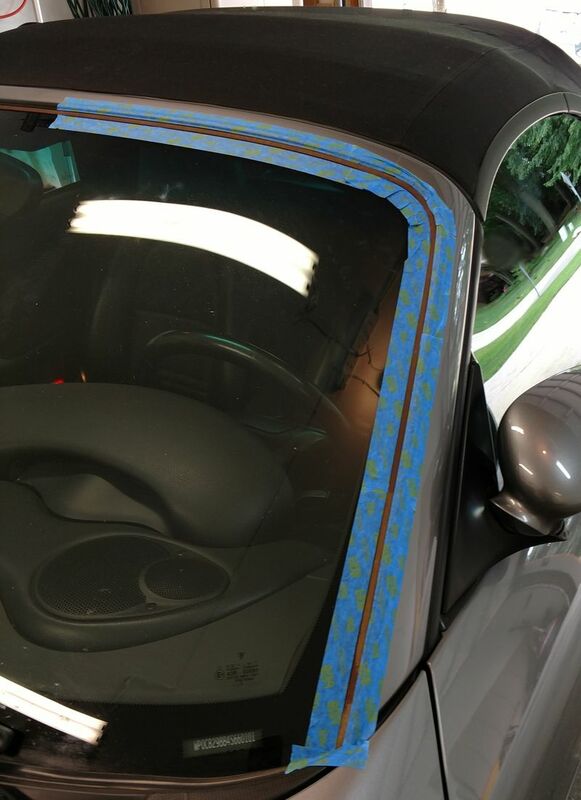 Look forward to seeing the other work you do on the car. 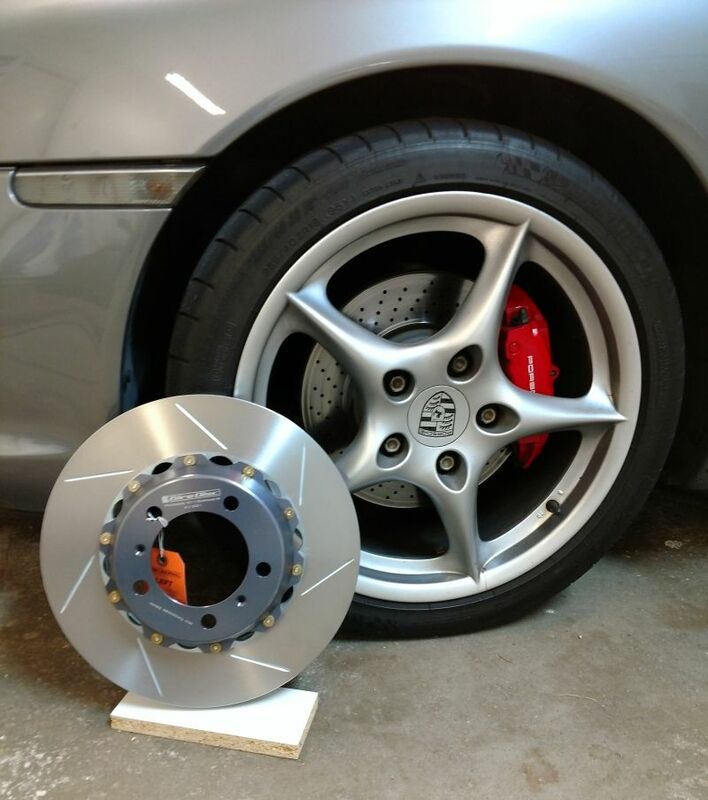 The Girodiscs are a great solution to gain proper competition spec 2 piece construction for weight savings and increased cooling potential. 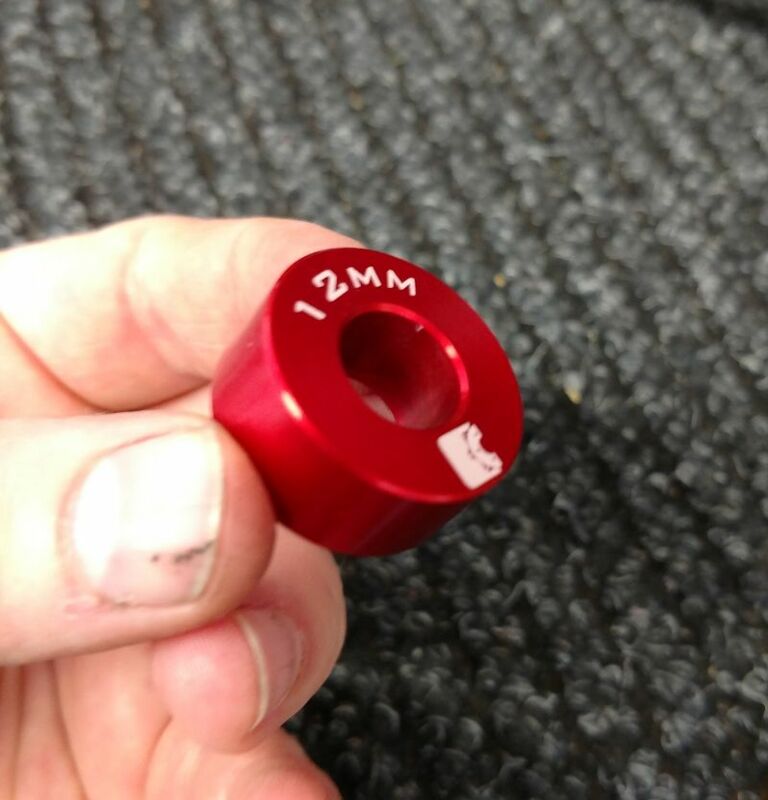 The set is larger in diameter by 22mm front and 27mm rear, (340mm/325mm vs 318/298mm) and includes color coded billet spacers and longer bolts to set the calipers in the proper radial location. And even though the set is larger in diameter, Front is 19.8lbs and giro is 17.2 lbs 2.6lb diff each. 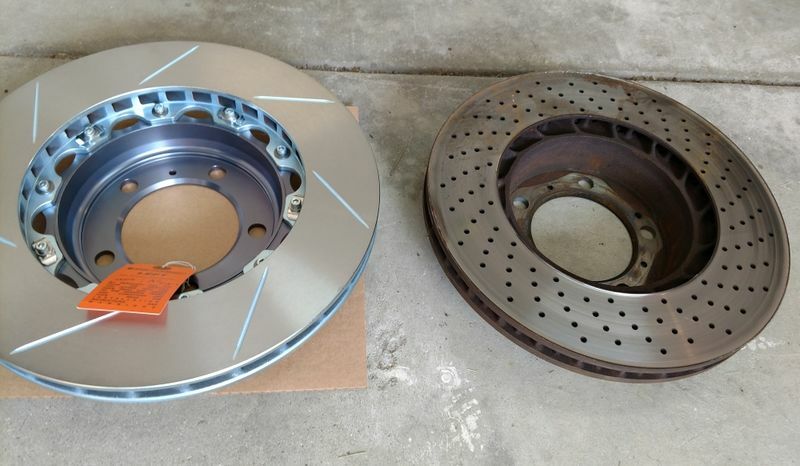 In total the system loses about 11.5lbs in total off all the OE rotors. That’s a worthwhile loss in rotational inertia. The mechanical brake torque is up by 8% based on the caliper piston center being a moved out radially by 11mm (front) from where the OE was. Torque actually increases additionally from the higher friction value of the pads, but I don’t have metrics for the difference. 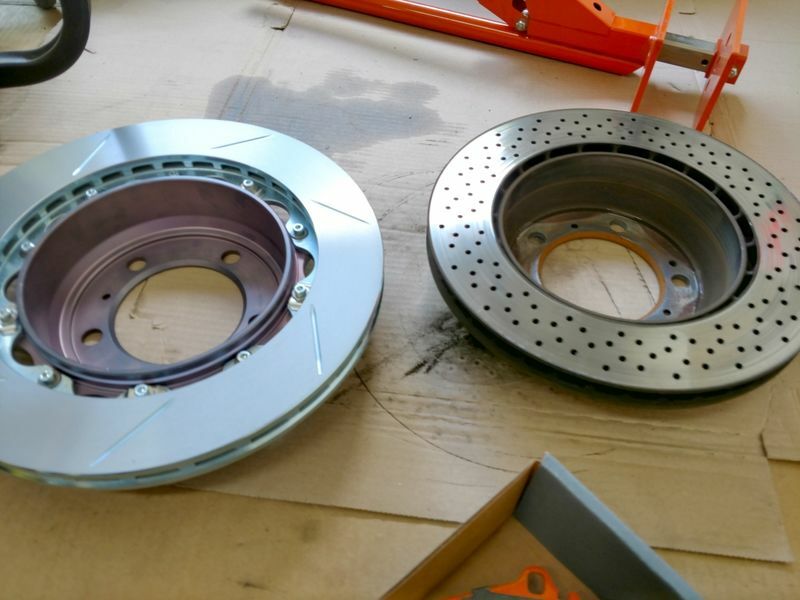 Another bonus is that fade resistance is increased via the rotor having 9% more surface area, while still cooling better based on 2 piece construction and an improved vane design. The Girodisc rotors have a proper curved vane design to cool better with more air reaching the vents and pumping out. 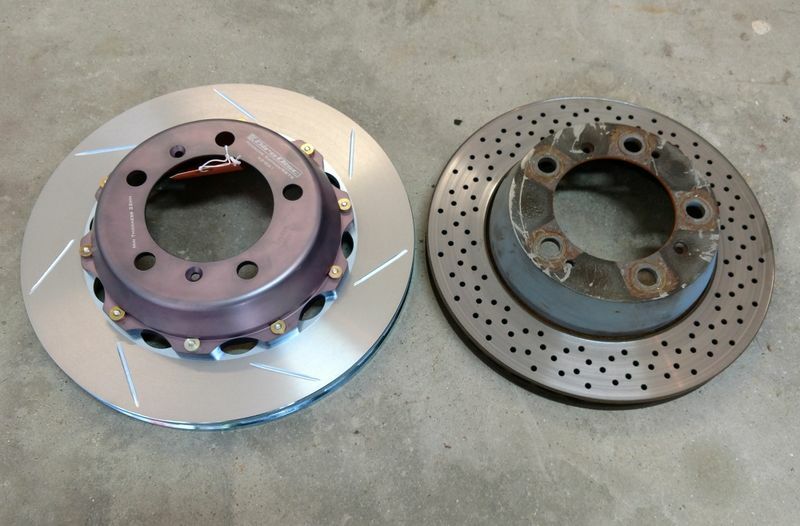 It’s a great win-win to loose rotational inertia and gain thermal and brake torque performance. I am also trying out the Girodisc SS pads – these are an intermediate solution between a full race pad and OE. 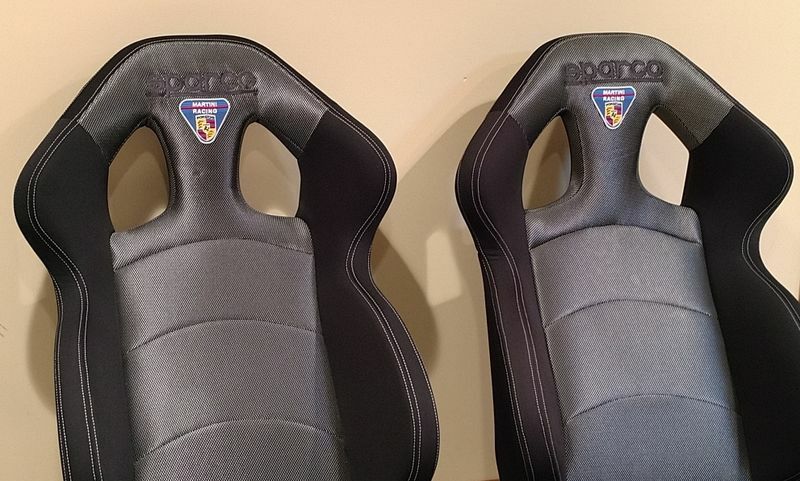 They come recommended as a good pad for something that is primarily a roadcar and needs to perform at trackdays. I will let you guys know if they make significant dust or noise over the OEMs. Last item is Pentosin (ATE) Super fluid. 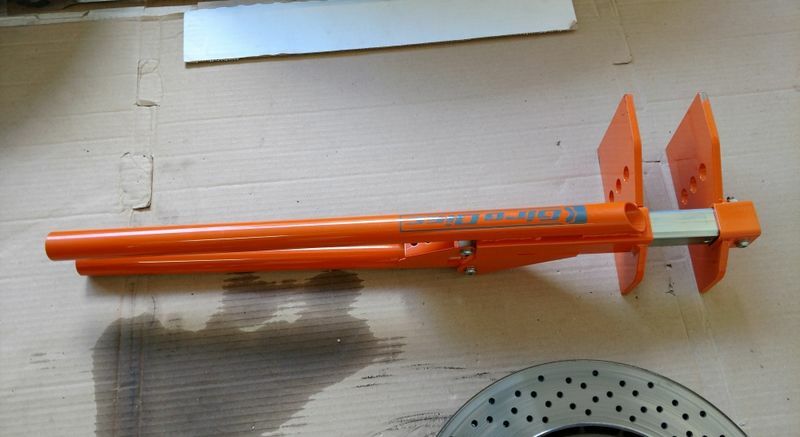 Picked this one as it has a 500F dry boil point and a 330F wet point. 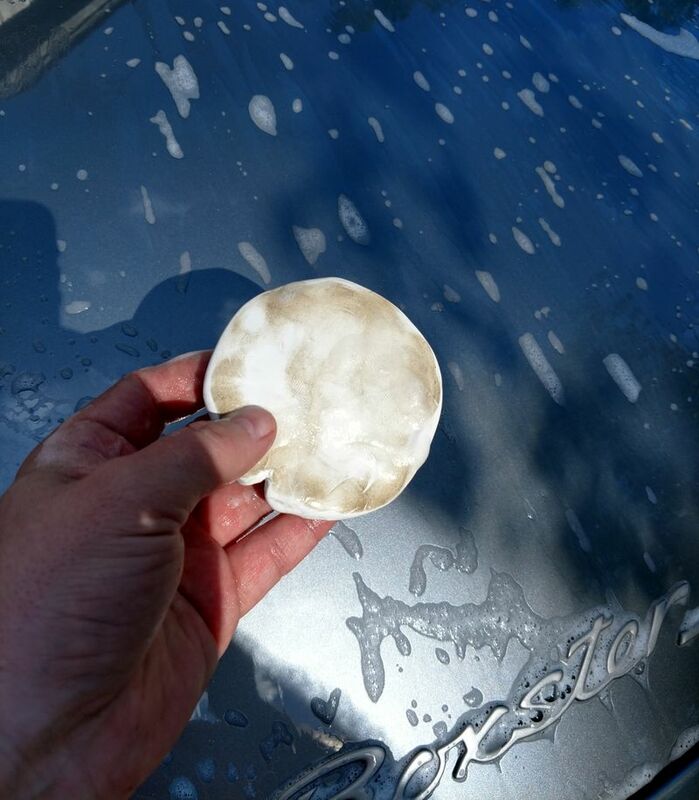 Because I don’t want to be concerned to drain fluid once or twice a year, this fluid makes sense as it has a very low hygroscopic (water attracting) index. Racing fluids like Motul are really good, but are more hygroscopic and not meant to be left in a system very long. 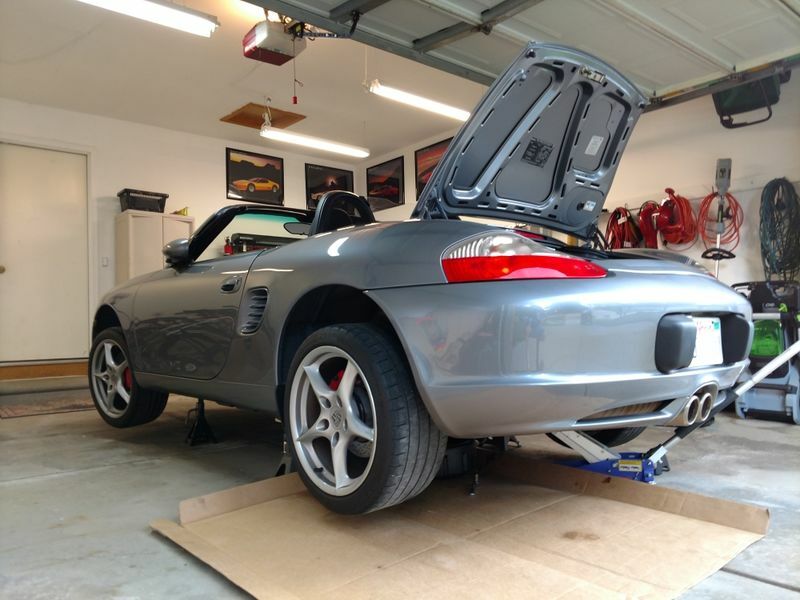 Also the Boxster isn’t known to boil fluid as a common issue. So this fluid is more than enough for my use. 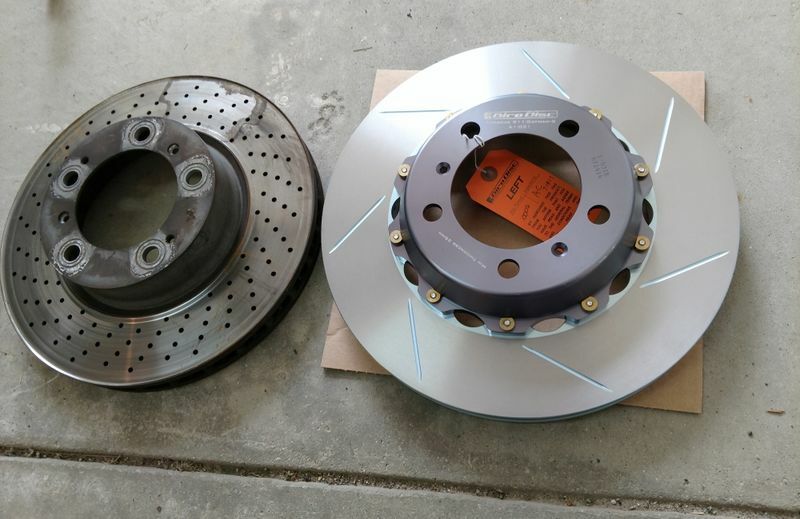 I wonder if you could fit 17z calipers on those front rotors? That not only is a nice upgrade in performance but also visually since they fill more of the wheel. Look forward to hearing about how they actually perform. Nice job! I like where you're going with this work! 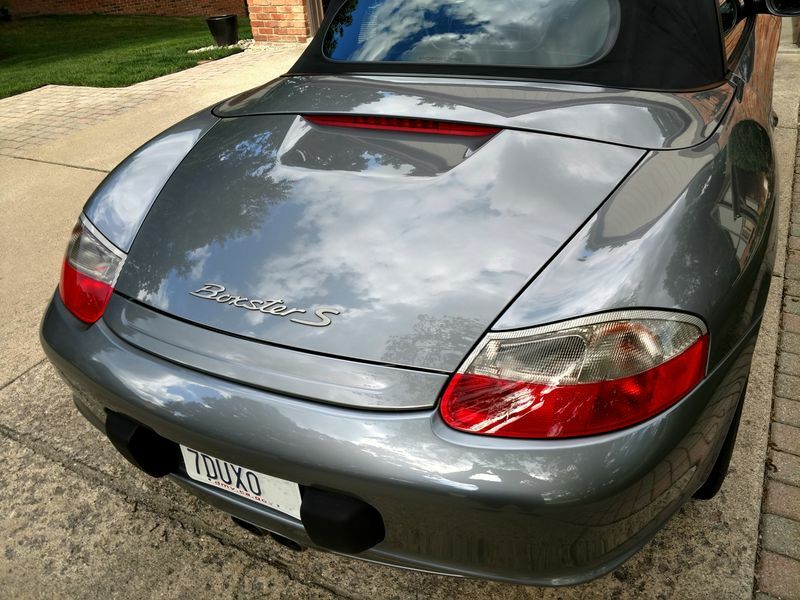 Having done 4 HPDE track events now I'll be following this-my car is a Seal Gray 2003 S with Black top and interior. 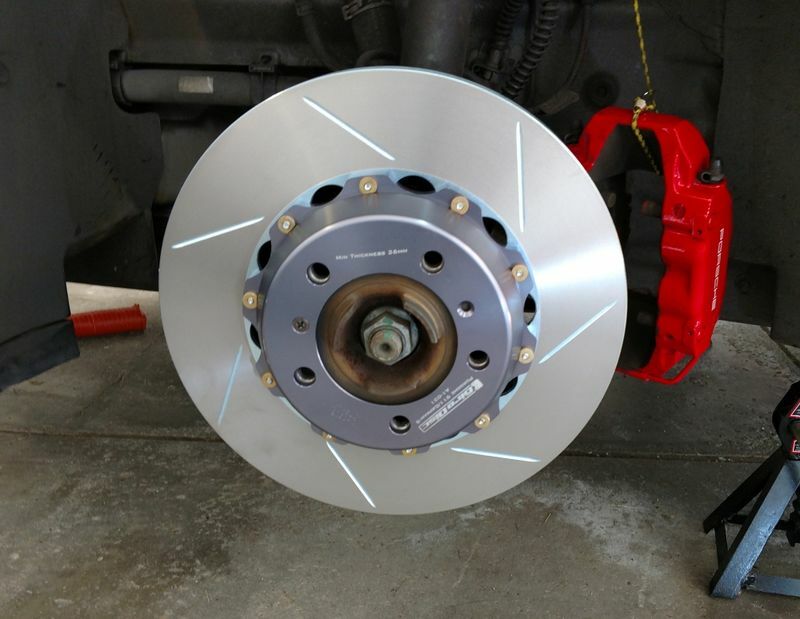 If you have a good report on the brakes I may do that next time I need brakes. 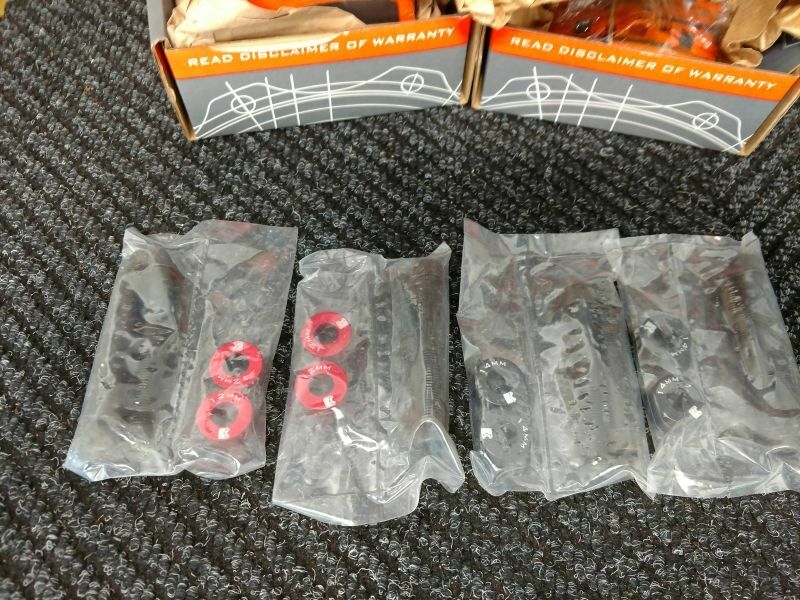 Do the longer caliper bolts need to be replaced each time they are undone like the OEM caliper bolts? You should get some stainless steel flexible brake lines to replace the rubber ones that may now be 14 years old. 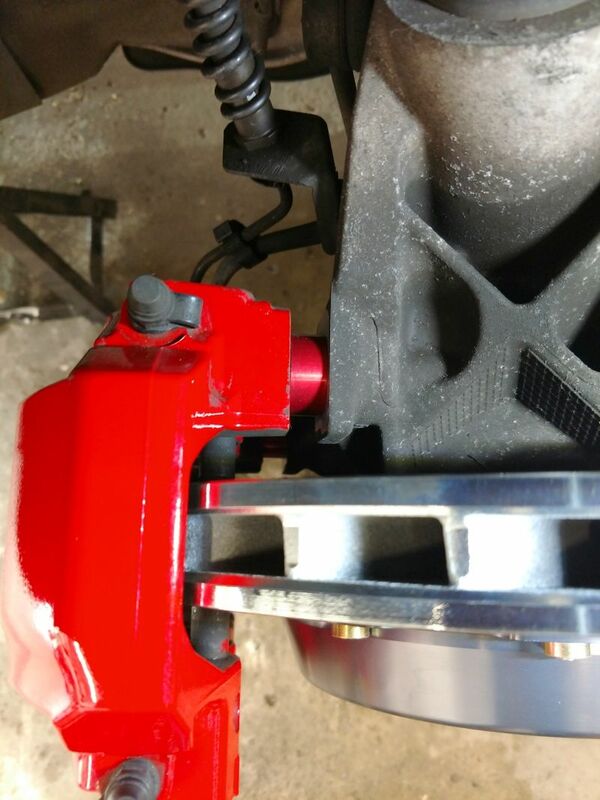 An under-drive pulley will also help preserve your power steering pump while on the track, and save you a few extra HP from parasitic loss to boot. 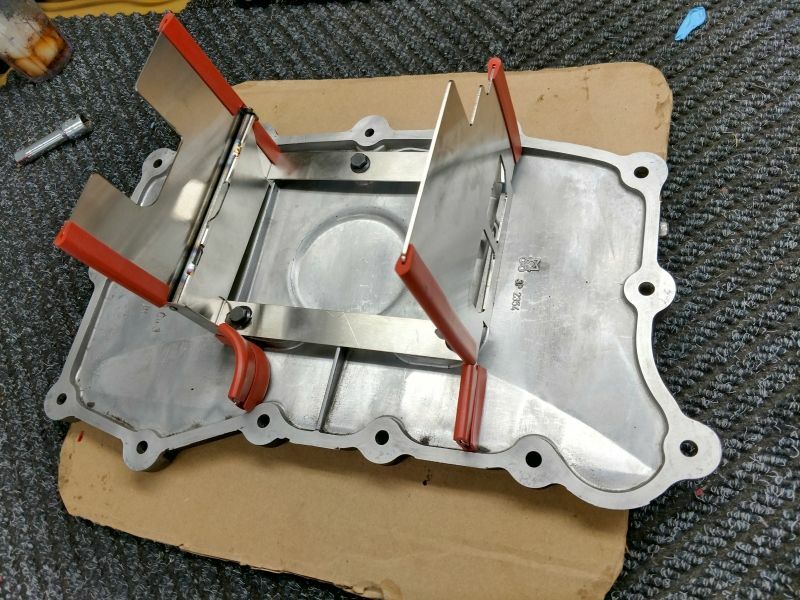 You might want to consider adding a deep sump like the smaller Mantis which would also provide some extra protection from oil starvation in high G cornering.